Available with or without sesame seeds. White or wheat dinner rolls. Great for cold sandwiches. Unsliced. 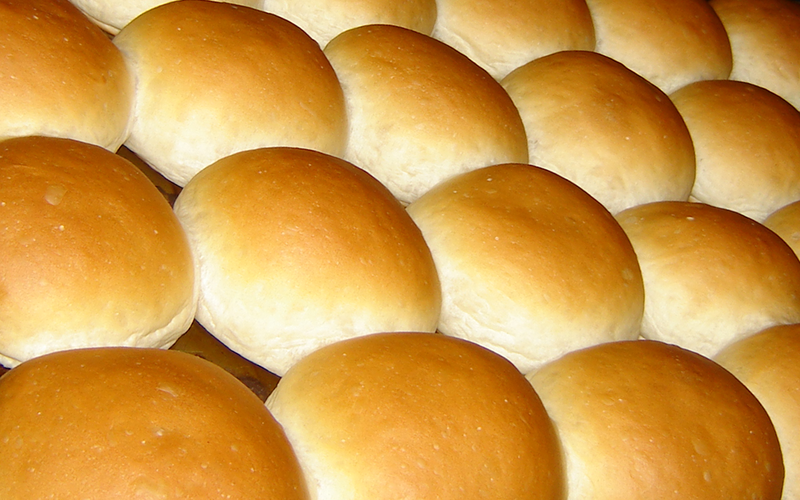 White or wheat dinner rolls. Only available when ordered and on holidays. A dinner rolls version of hard vienna or french bread. 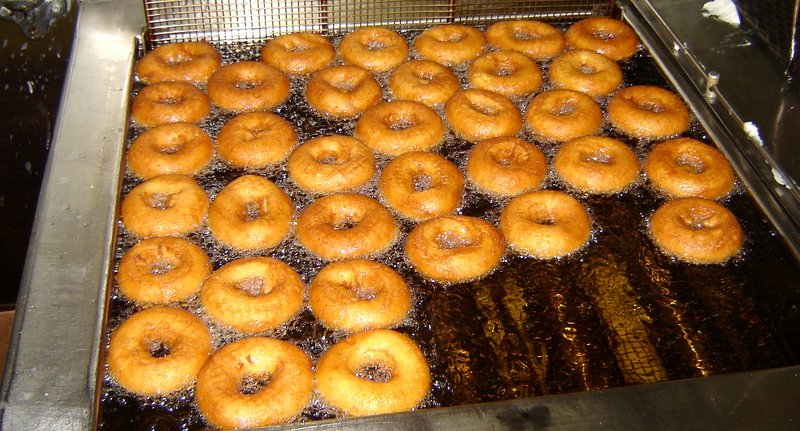 Available topped with or without sesame seeds. Also known as Soda Bread, or Irish Soda Bread. 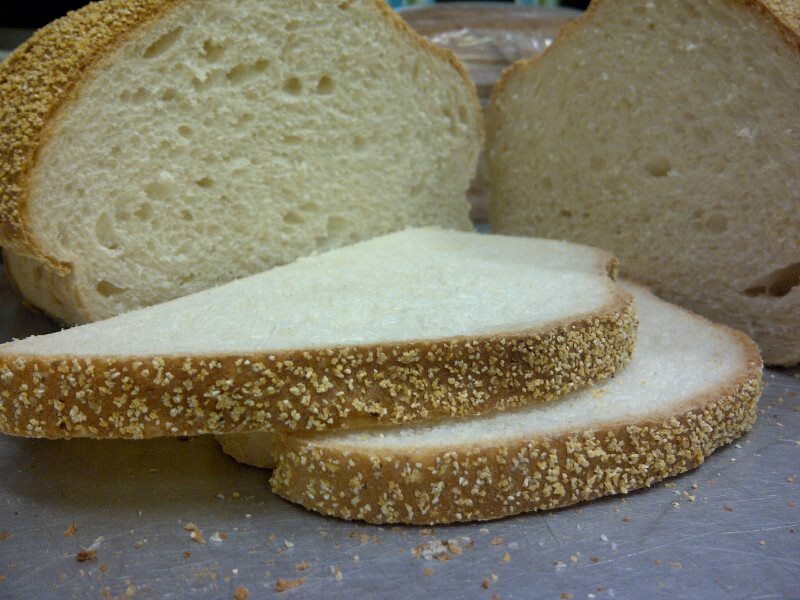 White loaf rolled in corn meal. White loaf with raisins. No cinnamon. Chocolate cookie with chocolate frosting. Apricot, Raspberry, Date. Lemon and blueberry are seasonal or available by order. Seasonal and holiday shaped sugar cookies, white iced with sprinkles or festive colored glitter. Classic ginger cookies shaped as little men. Three raisins for buttons. Large round sugar cookies, white iced and decorated. 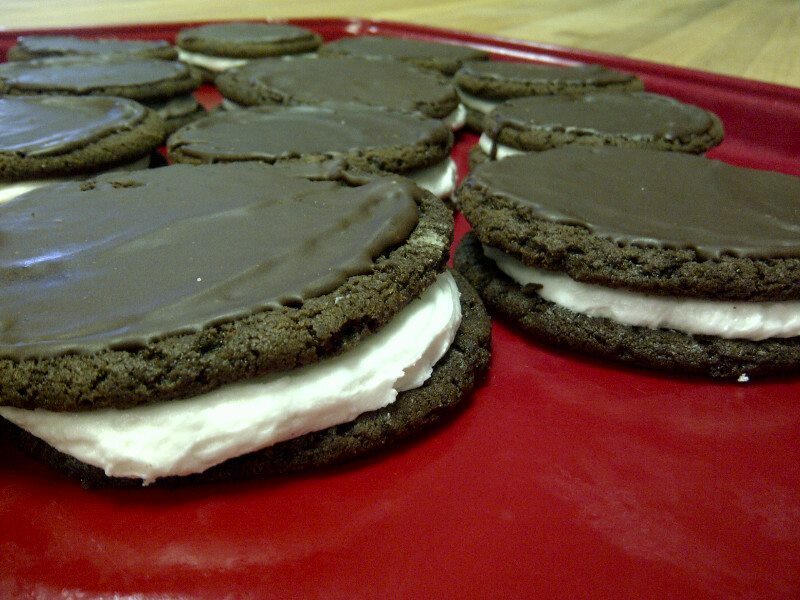 Buttercream sandwiched with two chocolate cookies with chocolate icing. 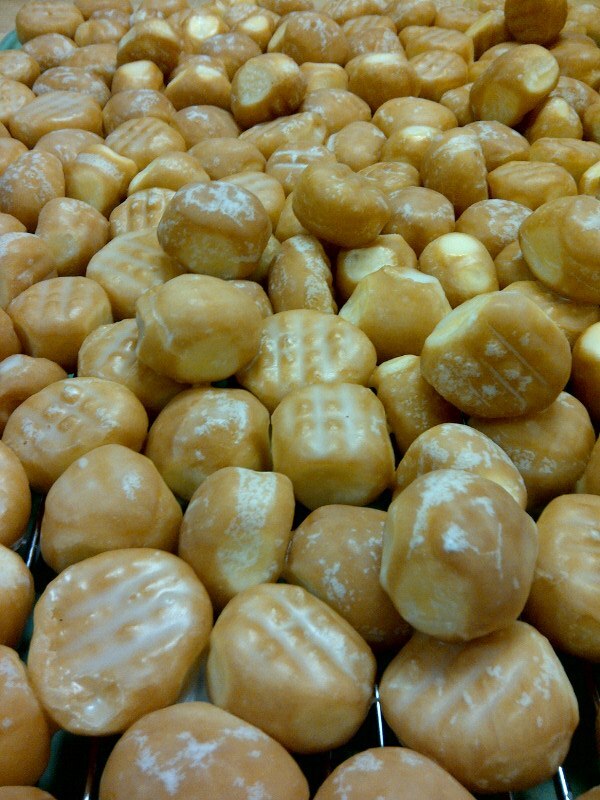 A donut hole is empty, these are the donut centers! Buttermilk, chocolate, blueberry, lemon, raspberry, apple, pumpkin. Available seasonally. Chocolate iced with buttercream or bavarian creme filling. A fried cinnamon roll. 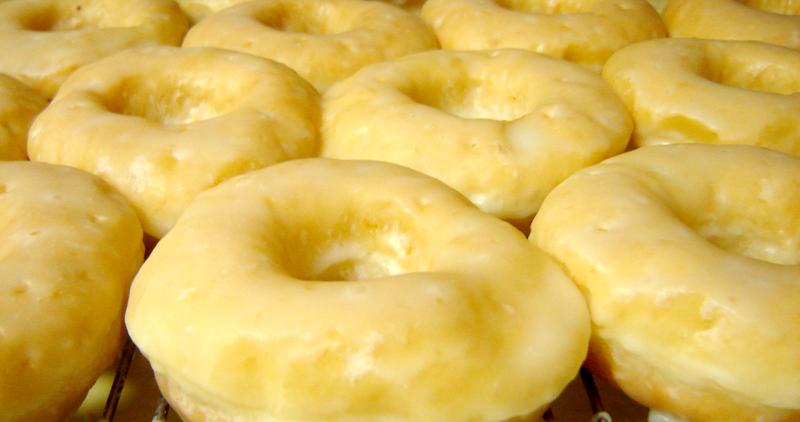 Glazed or iced with maple or cherry icing. White iced snails have apple filling! Filled with apple, cherry or blueberry. 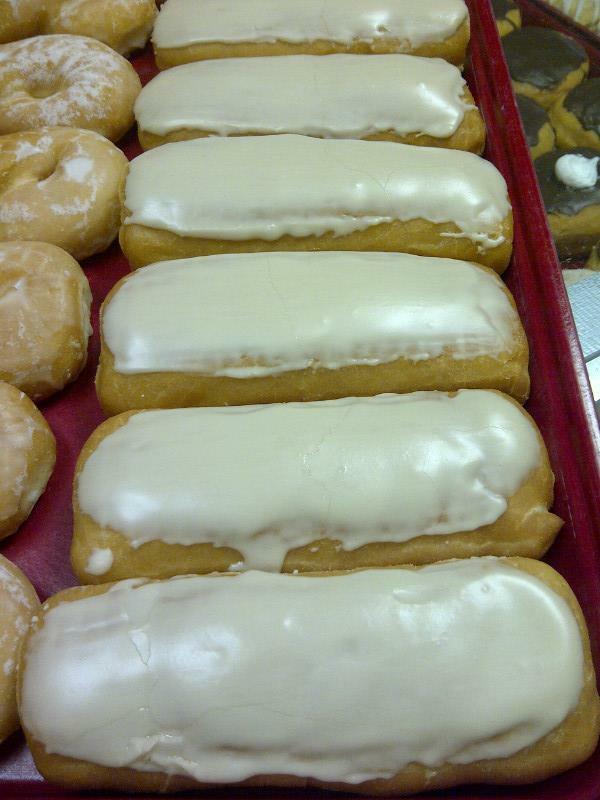 Our plain crispies with an apple filling. Sweet dough with fruit filling. Raspberry, cherry, apple, apricot, lemon, blueberry or bavarian creme. Topped with pecans. Also known as pecan rolls. The ‘braid’. A full coffee cake of the individual danish rolls. Available in the fruit filling of your choice: raspberry, cherry, apple, apricot, blueberry, lemon or bavarian creme.